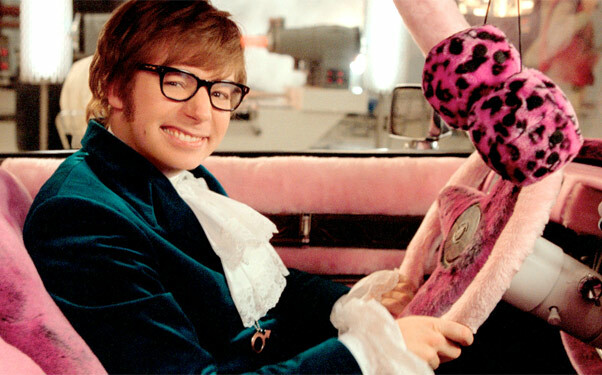 It’s a bit of a mystery (pun intended) as to why we haven’t seen Austin Powers 4 yet. Admittedly, Mike Myers is far from the bona fide box office star he was back in the late 80s and into the 90s, but all three films in the series did quite well upon release, pleasing audiences and turning a pretty decent profit for the studio. Still, a fourth instalment has never come to fruition and though it is getting to be a bit too late for it to happen now, Myers is still interested. The last outing for the franchise, Austin Powers in Goldmember, debuted back in 2002, but as Myers tells The Hollywood Reporter, he’s still up for another one. Further in the interview, the actor touched on his experience working with Carrie Fisher, who had an uncredited role in Austin Powers: International Man of Mystery, saying that she was extremely supportive. While it’s nice to hear that Myers is still on board to reprise the role, we imagine that it’d be tough to get Austin Powers 4 out of development hell and into production. There’ve been rumors here and there over the years of it coming together, but nothing substantial has ever happened and like we said above, the ship has just about sailed. Also, who knows if audiences would even still be interested in seeing more of the franchise so long after the last outing. Sure, it did well back in the late 90s/early 00s, but the Hollywood landscape has changed drastically since then. Still, even with all of that being said, we’d be thrilled for Austin Powers 4 to get off the ground and become a reality, as there really should have been another entry after Goldmember. Not only that, but in a day and age where we’re being bombarded with superhero films left, right and centre, having the International Man of Mystery back up on the big screen would certainly be a refreshing change of pace, don’t you think?